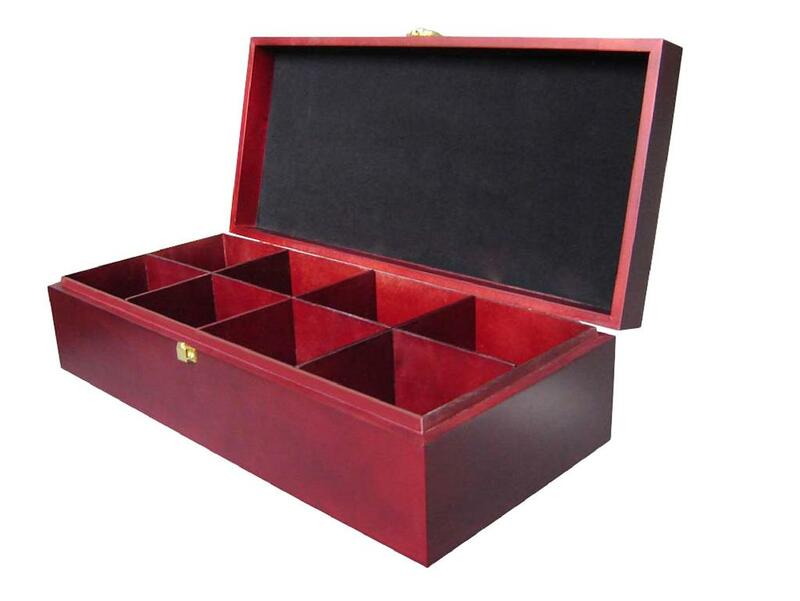 This attractive cherry stained, eight compartment wooden tea packaging chest is made of solid wood with black felt lining on both the inside bottom and the lid. As always, customer logos can be hot stamped outside lid and inside felt in gold or silver. Compartment size is 12x83mm and will hold ten tea bags each. 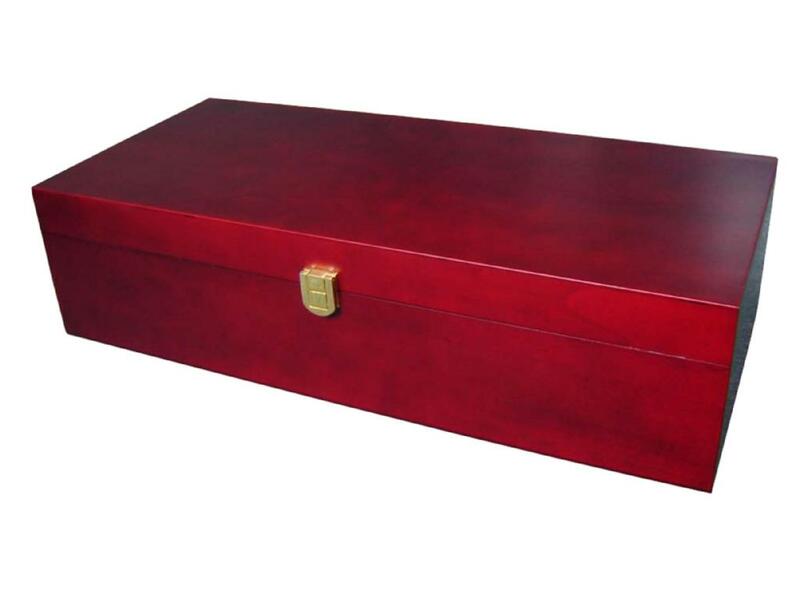 Extreme Enterprise is a first class manufacturer of high quality custom wooden tea packaging chests and tea boxes. We are committed to providing you with an excellent product that will exceed your expectations, excellent customer service and a guaranteed price that will beat all our competitors. Utilizing our skilled craftsmen, we pride ourselves in manufacturing the highest quality custom made boxes available in China. We believe the key to our success as a manufacturer is in listening to our customers and responding to their ideas and requirements. Our commitment to quality, excellent customer service and an affordable price drives our company success.